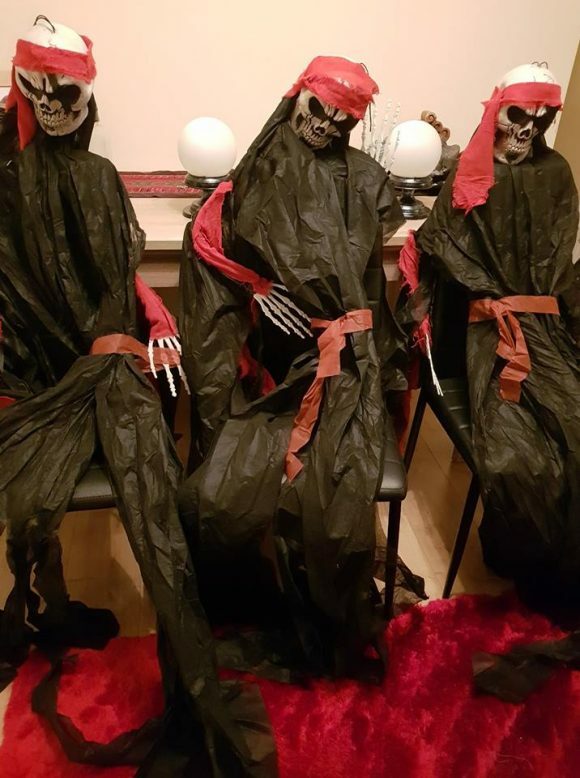 Waiting patiently for musical chairs at the ACV Foundation’s Halloween party on 26th October 2019. Lots of 50% bargains purchased from money raised at my personal Stripped Bare book launch in August. A few Halloween outfits and accessories have been put away, but we need so much more. Hopefully we are going to give some vulnerable and disadvantaged children a fantastic time! Do you know anyone who may have any 2018 Halloween outfits or accessories cast offs? Please ask around. Kids quickly grow out of costumes! Age range 4 – 7. I live in Sutton in Ashfield, Nottinghamshire, but within reason will be happy to collect, or discuss postage. Face paint I will source next year using Peta approved. If you can help in anyway please email sharon@acompassionatevoice.co.uk for more information. If you would like to donate to ACV Foundation’s projects please click on the GoFundMe button. Thank you! Together we can kick start something wonderful!